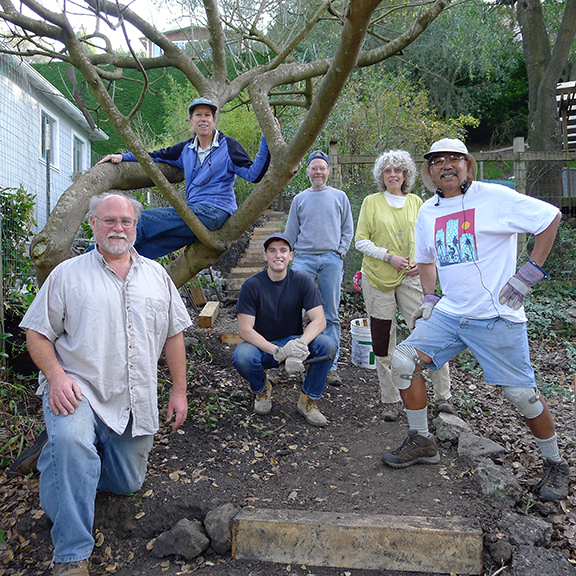 The Terrace View Alliance, a collective of neighborhood groups representing the part of the Berkeley Hills that is just north of Lawrence Berkeley National Laboratory, is partnering with Berkeley Path Wanderers Association to create and preserve Berkeley's public paths, steps, and walkways in this part of the city. To make a tax-deductible contribution to the Terrace View Alliance's GoFundMe campaign, please visit:https://www.gofundme.com/berkeley-paths. The campaign will end on June 30. May 26 - Stairs! Stairs! Stairs! Read about our news, our new and old paths, our fabulous volunteers, and more! Your generosity enables us to build more paths, add handrails, and offer our path-oriented events. 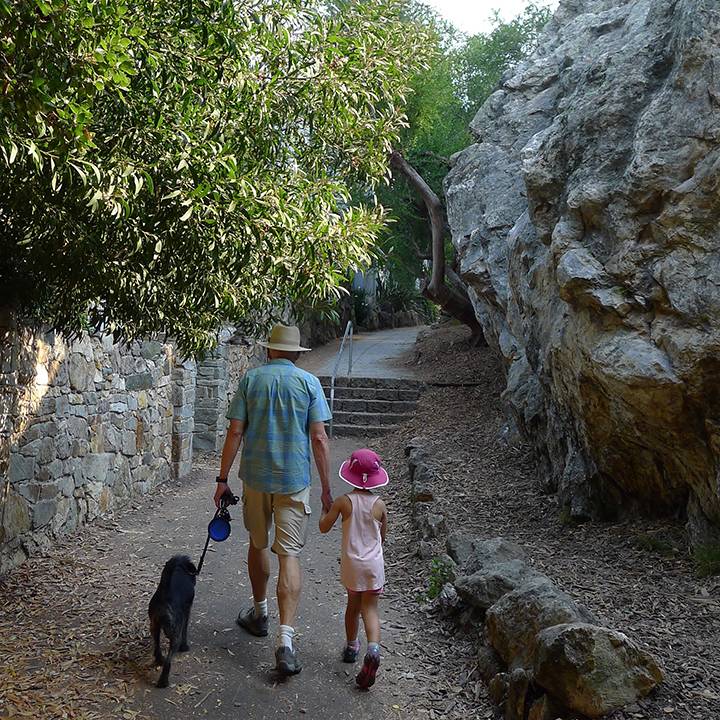 Join our path-loving community for just $5 a calendar year, supporting our vital work. We sell the very best map of Berkeley as well as hats, guidebooks, posters, note cards, and more.